We, the coalition, believe every citizen should be able to obtain and maintain affordable, decent and safe housing. To that end, the coalition will work to educate the community about issues facing home owners, sellers and purchasers, as well as landlords and tenants. The coalition stands ready to advocate where necessary to assure that local housing and housing practices conform to the coalition's purposes. Wayne County is a county in the U.S. state of Ohio. According to the 2010 census, it had a population of 114,520, an increase of 2.6% from 111,564 in 2000. Its county seat is Wooster. 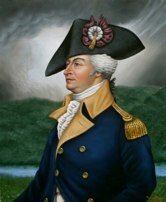 The county is named for General "Mad" Anthony Wayne.